Shibuya is one of the main hubs of modern Tokyo. It's a seething frenzy of shopping, dining and drinking. This is the place to come to experience Tokyo in all its glory. Shibuya is probably the Tokyo you imagine when you think of Tokyo: It's all neon lights, trendy Japanese teens in wild outfits, huge departments stores and crowds all the time. There are not many sights to see in Shibuya. Rather, Shibuya itself is a sight to see. The main activities here are shopping, people watching and partying. I highly recommend a visit here to feel the energy of modern Japan! 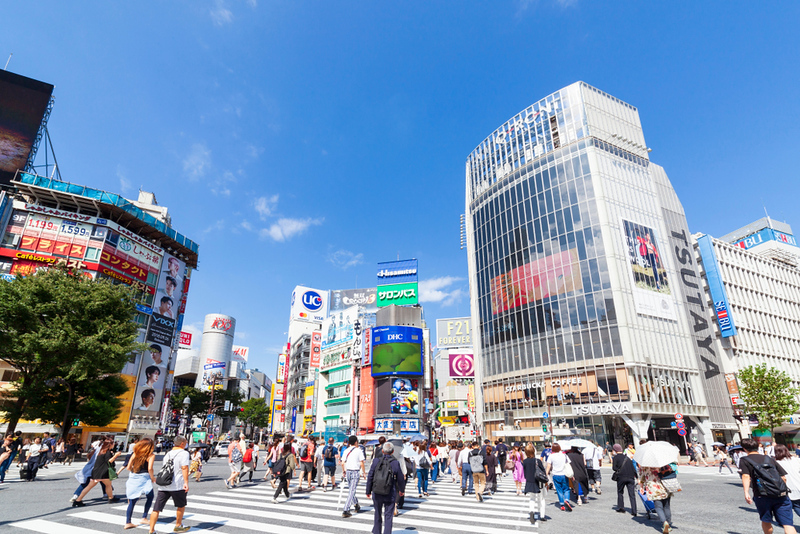 Shibuya is not all about specific attractions – there aren't many. Shibuya itself is the attraction. Thus, apart from one or two small art museums, the thing to do here is just walk around and experience the place. Shibuya crossing is the main intersection of Shibuya. It's the one you've seen all the pictures of: thousands of pedestrians surrounded by huge shopping complexes and giant video screens. If you're coming to Shibuya, you're going to come here. Enjoy the experience of crossing the street with a veritable tide of humanity. Everyone knows the story of the faithful dog Hachiko who met his owner at Shibuya Station every day and continued to do so long after his owner's death. They even made a movie about it with Richard Gere. 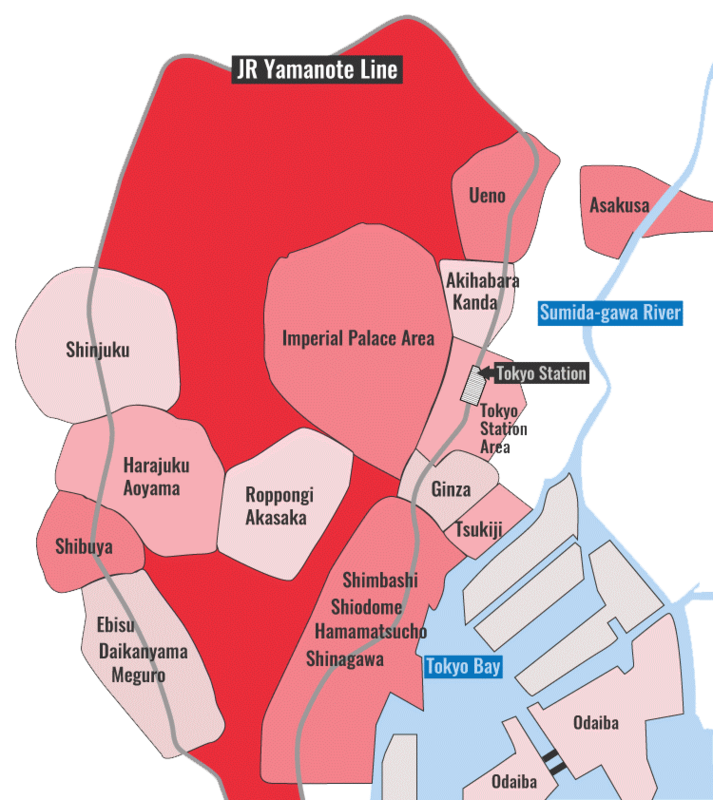 If you want to know more, check out the Hachiko Wiki page. To get to the statue, take the Hachiko Exit (which is the same one for Shibuya Crossing). Some excellent exhibitions are held here at this cultural hall on the west side of Shibuya. Most of the shows focus on 19th and 20th century European art. See the Bunkamura Museum site for upcoming attractions. This small museum of Asian pottery located on a hill northwest of Shibuya is probably only of interest to serious fans of ceramics. Check the Toguri Museum website for details of upcoming shows. Shibuya is crammed with places to eat. Needless to say, you'll find extensive food floors in all the major department stores and shopping complexes here. These are good places if you want a lot of variety and easy-to-enter places. Outside, on street level, you'll find lots more to choose from. This is an excellent place to try Korean barbeque/yakiniku on the east side of Shibuya. If you like wagyu, this is a must! Ramen in a private booth! At this basement ramen specialist on the east side of Shibuya, you buy your tickets from a machine and then eat your ramen in a semi-private booth. The ramen is great: thick soup and chewy noodles. There's a tiny bit of English on the sign. This brilliant Indian restaurant is a bit out of central Shibuya, but it's worth the trip for some superb curries. Consider taking a taxi. If you go by subway, it's closest to Hiroo Station. Echigoya Sandayu is a tasty, inexpensive teishoku lunch spot that’s open all afternoon in Shibuya. You can’t argue with that! A narrow back street in Dogenzaka houses some of the best soba noodles in Shibuya - a great lunch between all the shopping. Tetsu is a cheap and cheerful yakitori restaurant right by Shibuya Station. Just stick to drinks and grilled skewers - avoid everything else on the menu. For an old-school yakitori experience in the heart of Tokyo, eat some grilled chicken with the regulars at Shibuya’s Morimoto. If you’re in Shibuya and craving fresh, tasty sushi that won’t break the bank, look no further than Uoriki. With a great location close to Shibuya Station, this beautiful luxury hotel offers relatively spacious and comfortable rooms and all the features you’d expect in a luxury hotel. And, it’s much cheaper than most luxury hotels in Tokyo. Directly connected to Shinbuya Station, this large and popular hotel is like an upscale business hotel. The rooms are large-ish and comfortable. And, the rates here are at the low end of this price bracket. Located at the top of Shinbuya’s shopping district, within easy walking distance of the station, this small business hotel has a great location and is a good value. Very well located in Shibuya’s shopping district, this standard business hotel offers very reasonable rates and decent rooms. It’s a good value. The Tokyu Stay Shibuya is a great little apartment-style hotel a bit of a walk from Shibuya Station. The rates are very reasonable and it’s a great value. Super close to Shibuya Station, this well-run business hotel is one of the best mid-range hotel values in the area. Just steps from Shibuya Station, this stylish business hotel is a very good choice in the mid-range bracket. The Tokyu Stay Shinbuya Shin-Minamiguchi is a great little apartment-style hotel within easy walking distance of Shibuya Station. If you don't mind staying out on the western edge of Shibuya, you can usually get competitive rates at this decent business hotel. Halfway between Shibuya and Harajuku, this decent business hotel offers free breakfast. It’s an okay value. This ryokan-style hotel is a long way out from Shibuya Station (about 30 minutes walk), but the rates here are usually very reasonable. This old-school male-only capsule hotel is one of the cheapest places to stay in Shibuya. Very close to Shibuya Station, this twee business hotel offers decent rooms at rock-bottom rates. But, it can be noisy and they don’t allow children. For DIY, gadgets, curios and interesting gifts, this is your one-stop-shop in Shibuya. This popular youth-oriented department store in the middle of Shibuya's "department store ghetto" is one of the best places in town to look for unusual souvenirs and lifestyle-design products. This vast department store is a great place to shop for gifts, food and fashion near Shibuya Station. Don't miss the food floor here. For all your Japanese pop culture needs (manga etc), this is the place. A vast shopping complex on the east side of Shibuya Station, this is a good place to browse a huge variety of shops and restaurants. This is one of Tokyo's best and most popular clubs. It regularly features some of the world's most famous DJs. On the 40th floor of the Tokyu Hotel, this is an elegant spot for a drink and the view over the city is awesome. A friendly and fantastic bar near Shibuya Station, this is a great place for a night out in Shibuya. Sometimes there's live music. In the Cerulean Tower hotel, this is a good spot for live jazz. Club Quattro is a Tokyo institution for major foreign touring acts and shows. Check out their site for upcoming shows. This vast club is one of the city's largest electronica dance clubs. The Aldgate is a friendly "gaijin bar" where you can rub shoulders with other travelers, locals and expats over a few pints. For some great local and international bands and the occasional comedy night, check out this popular club located between Shibuya and Harajuku. Another popular dance club in Shibuya. Check their site for upcoming events.